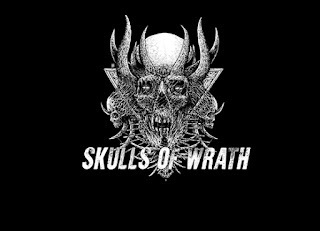 WELCOME to the Skulls of Wrath Show for 5th February 2018. Today we have our interview with Ross from Wellington band Bulletbelt. Bulletbelt have released their brand new, third, studio album, "Nine Centuries" to critical acclaim, and Dale from Skulls of Wrath attempts to wrap his head around the new album in this interview with guitar player, Ross. DEEP PURPLE- Child in time. ROTTING CHRIST- I will not serve.